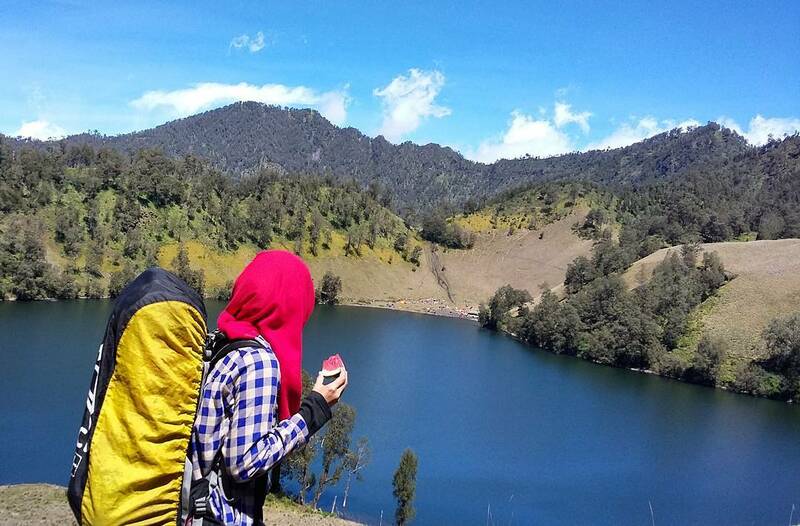 Here are 6 East Java, Surabaya mountain trekking and hiking and trails for the novice and seasoned climbers. 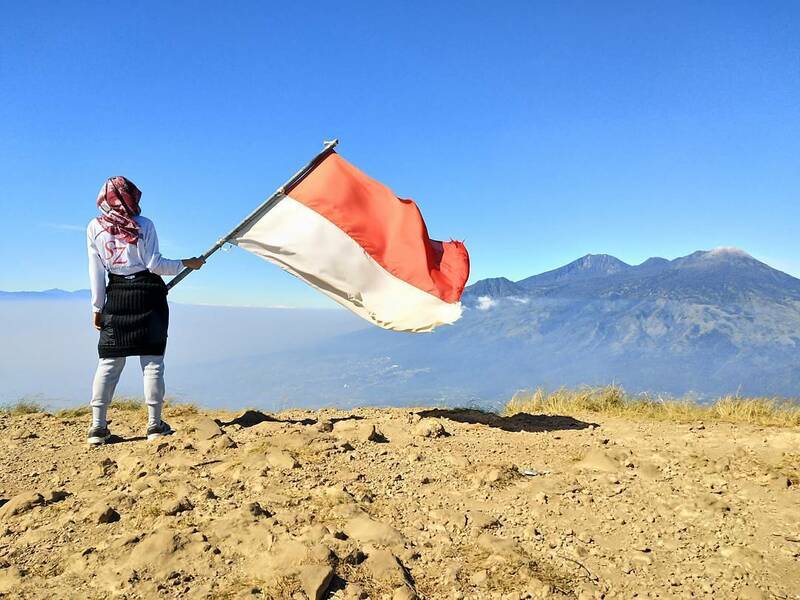 Away from the hustle and bustle of Surabaya lies a diverse mountainous landscape that has attracted many visitors and locals to climb and marvel at its magnificent natural scenery. 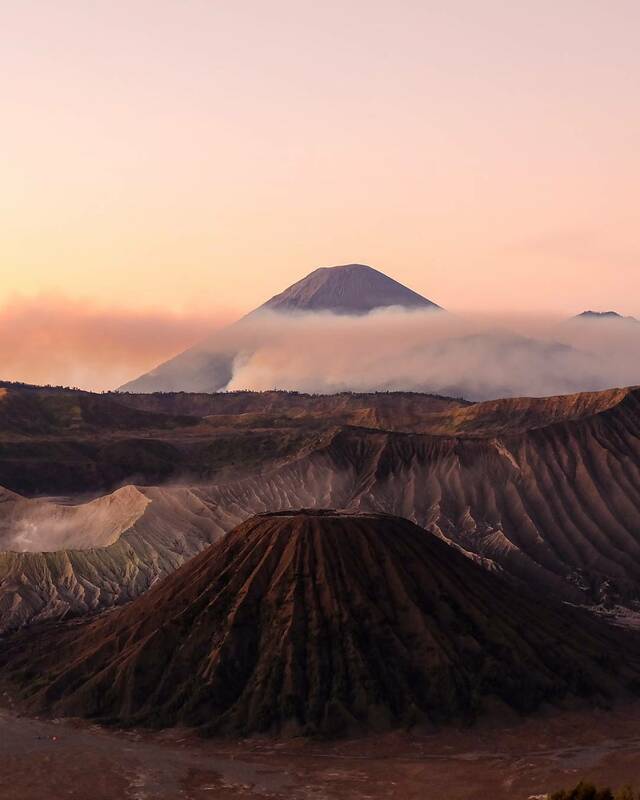 The East Java region is a home to active and inactive volcanoes alike, with many accessible from the city of Surabaya. All you need is an adventurous heart to experience the wonders of summit-views from these marvelous mountains! Located about 30km from the centre of Kediri City, Mount Kelud is an active volcano standing at a height of more than 1,700 metres. Its most recent eruption took place in 2014. 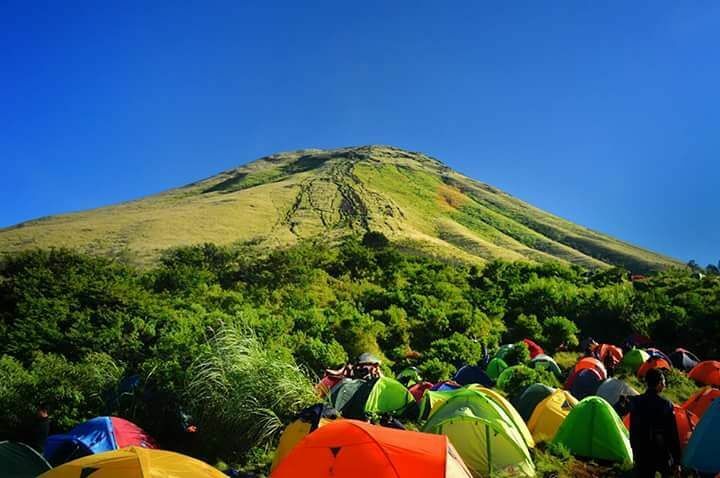 Just 3 hours away from Surabaya, most hikers will settle into accommodations at Kediri before setting off in the early morning towards the foot of the mountain. Jeeps will bring you up the volcano in a meandering path before hikers go on foot for the remaining quarter of the way. 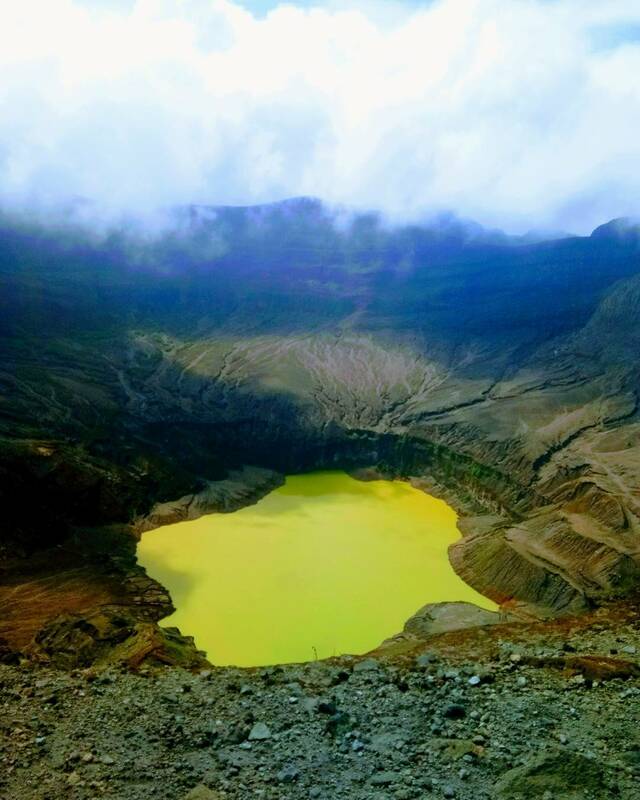 At the summit, you’ll be able to witness a crater lake amidst smoke escaping from the Kelud volcano. While Mount Kelud may not be as imposing the 6,600-meter Tibet’s Mount Kailash, 8,800-meter Mount Everest, or any other world’s highest peaks, it still holds its own among the mountains in Indonesia. How to get there: Drive for about 3 hours from Surabaya before reaching the foot of Mount Kelud. 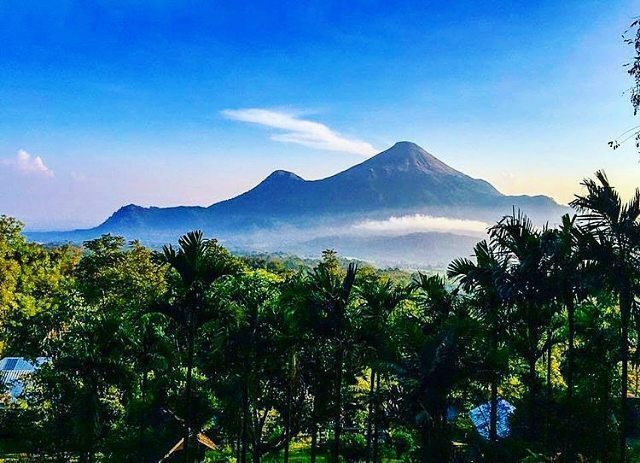 Twin volcanos Arjuno and Welirang form a stratovolcano, with Mount Welirang located on the border of Malang and Mount Arjuno lying in the same path, both covering a whooping 6 kilometres of volcanic craters and cones. For newbies, the Tretes-Pandaan path to Mount Arjuno is advised, passing by several sources of springs along the way, whereas the climb up Mount Welirang usually begins at night to avoid the heat during the day, followed by a overnight stay at a pit-stop to enjoy a night under the stars. Requiring reasonable amount of physical endurance for the rest of the climb, the journey to the summit can take up to 8 hours, but the view from an elevation of over 3,000 metres is a hiker’s greatest reward. At the peak of Welirang, the natural beauty of its surroundings is astounding with a string of mountains and sulphur beds seen clearly in view. For those who have been to Tibet, this is a similar sight to the Himalayan Peaks that can be seen on the way to Mount Everest Base Camp from Saga. 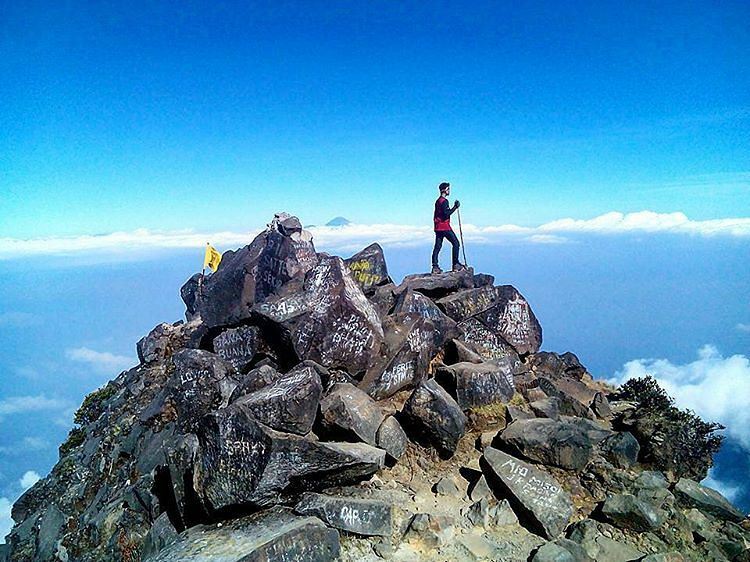 How to get there: Mount Arjuno-Welirang is accessible from Surabaya via Pandaan and Tretes. 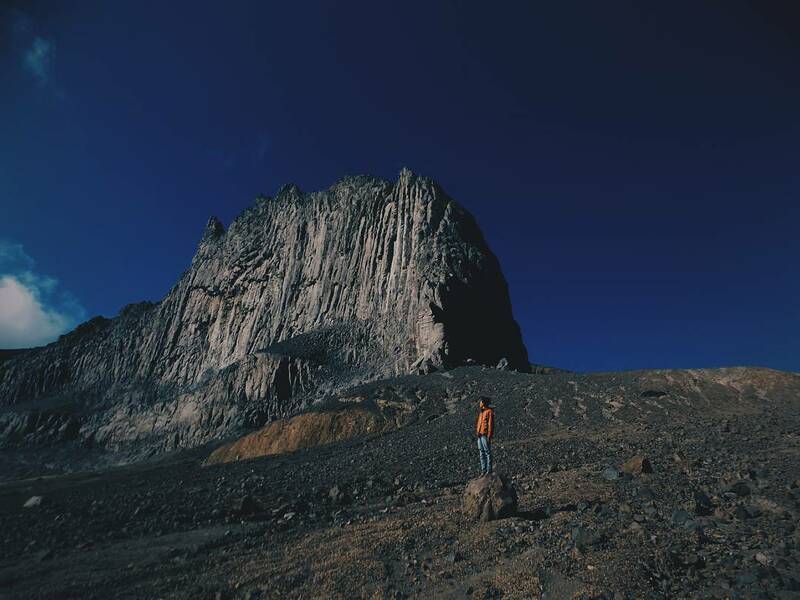 Within the clusters of Arjuno-Welirang mountains lies another mountain that may be overlooked, but upon closer inspection, you’ll notice the uniqueness of Mount Penanggungan that is shaped perfectly like a cone. The Trawas-Tamiajeng track is one of the easier paths, taking about 4-5 hours to the top – however the last surge to the summit is known to be rather steep. 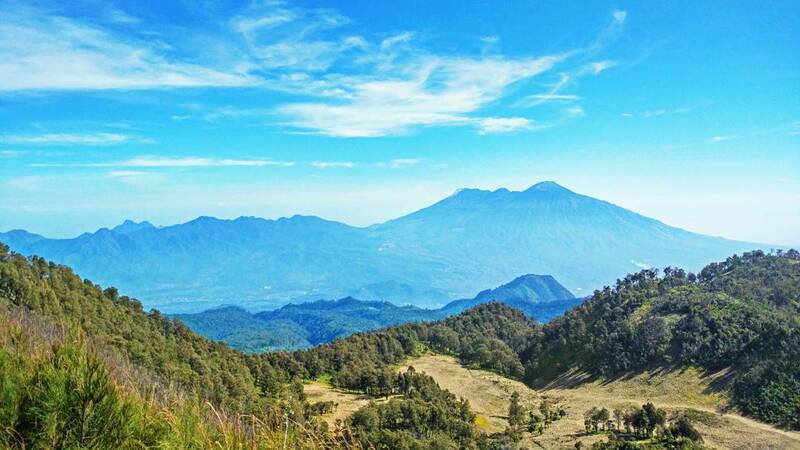 As easy as it may sound, it is definitely a lot more challenging than the popular Mount Batur Sunrise Trekking you can experience in a Bali Getaway. At the top, you’ll be greeted by the breathtaking panoramic view of Mojokerto city and its surrounding areas, which include charming ancient sites. How to get there: Approximately 25 km away from Surabaya in Mojokerto, travel via Pandaan towards Tamiajeng village before your ascend up Mount Penanggungan. Considered a holy mountain with temples interspersed along the uphill path, hikers who climb Mount Lawu are often in search of spiritual enlightenment. Located on the border of East Java, it’s a 8 km trek from the post at Cemoro Sewu to the summit that takes a good 6 hours if you’re experienced. It’s a fairly easy climb compared to other mountains, thus making it a popular site for hikers! At the summit, take in the stunning view of a blanket of clouds beneath you with sprawling mountain peaks peeking through. Truly breathtaking! 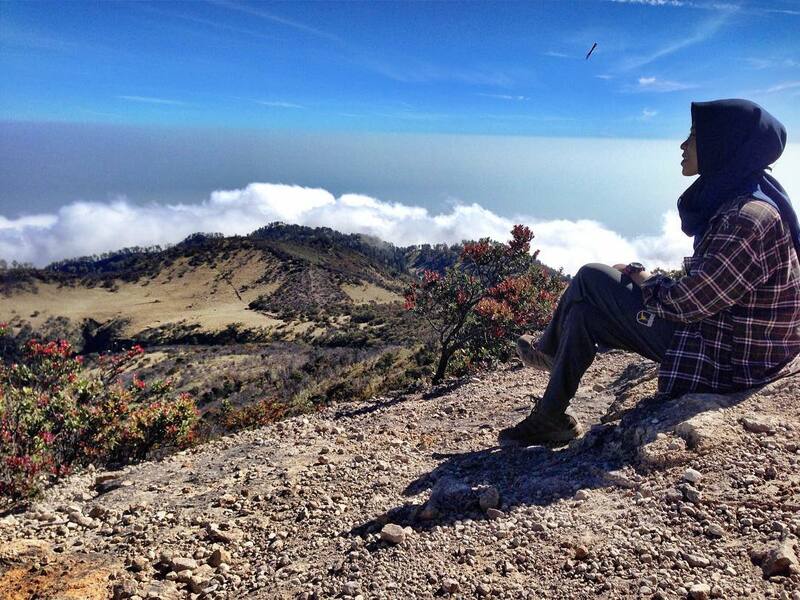 Although underrated, this is one of our team’s favourite Surabaya mountain trekking and hiking trails in Indonesia. 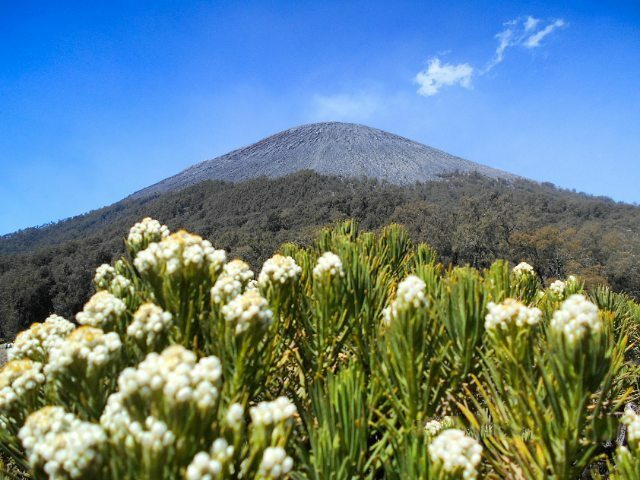 How to get there: Mount Lawu can be reached from Surabaya via an inter-city bus to Madiun before continuing on to Magetan and finally arriving at Cemoro Sewu. The highest mountain in Java, this active stratovolcano lies in Bromo-Tengger-Semeru National Park. The path to the summit is fascinating with views of smoke and ash steaming from volcano’s stomach, beautiful lakes and mountain terrains. 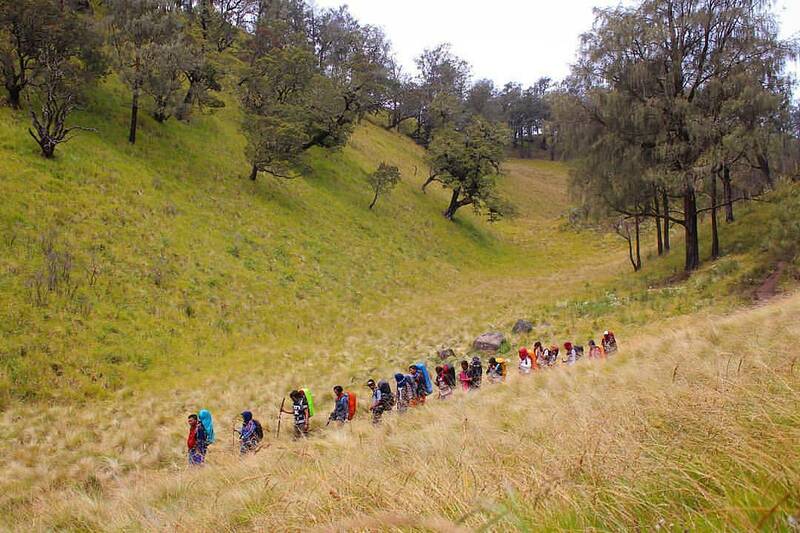 Hiking Mount Semeru is no easy feat, and requires a physical readiness that can last up to 4 days and 3 nights. But the reward is great – a smoldering scenery awaits you at the summit, among them is another of Indonesia’s popular mountains, Mount Bromo. 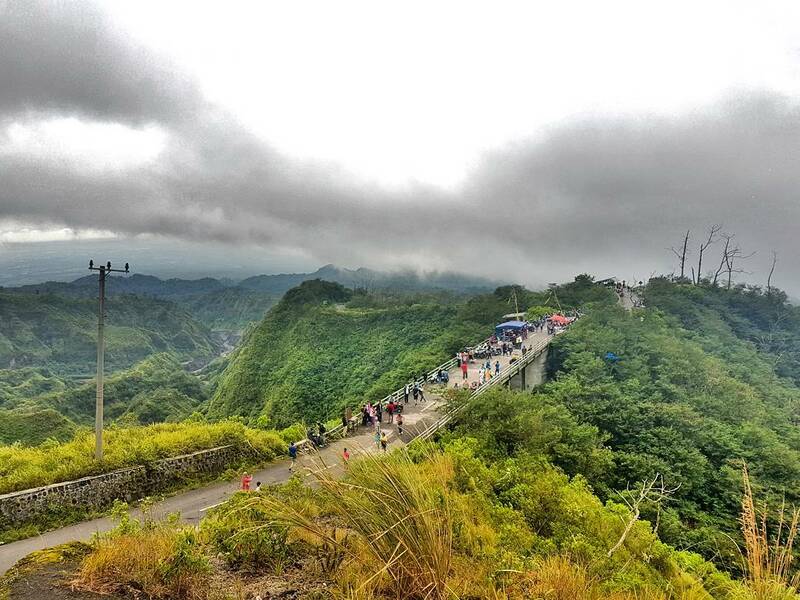 It may not be one of the easiest Surabaya mountain trekking and hiking trails but absolutely one of the most rewarding. 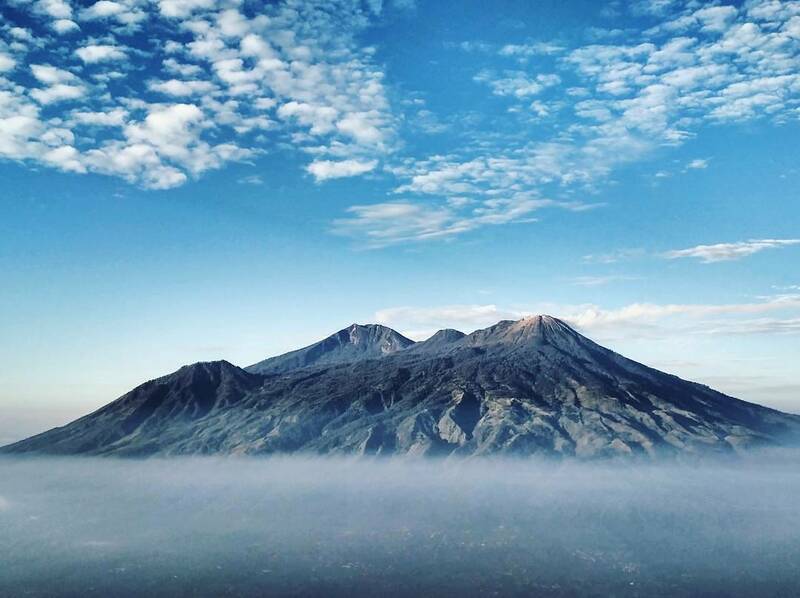 How to get there: The closest domestic airport from Mount Semeru is Surabaya. From the airport, drive to Ranu Pane before ascending to Mount Semeru summit via Ranu Kumbolo and Kalimati Village. 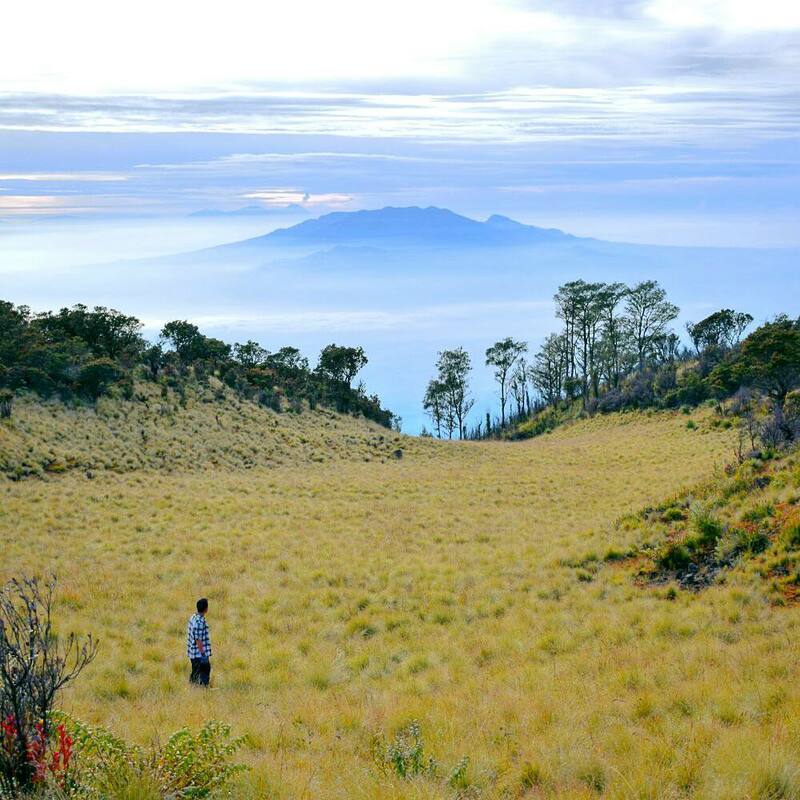 One of the inactive volcanoes in Java, Mount Butak sits on the border of Malang at a height of 2,868 metres. Interestingly, its position alongside Mount Panderman and Mount Kawi forms a unique shape of a sleeping person, otherwise known as Sleeping Princess. Due to its steepness, Mount Butak isn’t a popular option for climbing, but hikers who enjoy a challenge should give it a try! 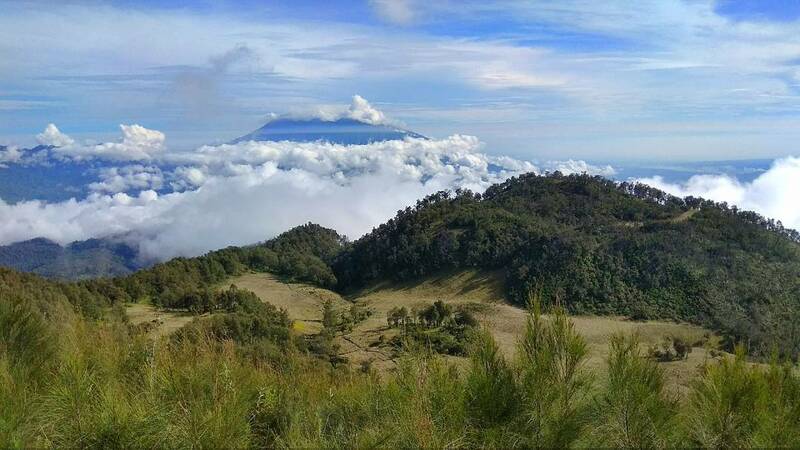 Two tracks are available – via Panderman or via Sirah Kencong with the latter promising the shorter trail lasting 8 hours – but the view from the peak allows you to enjoy a captivating view of Mount Arjuno-Welirang. Definitely one of Java Island’s most versatile mountain trekking and hiking trails as it’s friendly to visitors of all fitness levels. How to get there: A 4-hour drive from Surabaya, the starting point of the climb lies in Tuyomerto Village near Batu.